Today’s connected TVs aren’t limited to the programming that cable, satellite, or over-the-air broadcasters deliver. With a set hooked up to a broadband home network, you can access all sorts of movies, TV shows, music, and other content delivered from other devices on the local network, or from paid and free Internet services such as YouTube and Netflix. But what if your set doesn’t have a network connection—or doesn’t support your preferred content sources? That’s when you want to consider a media streamer. Media streamers vary widely in their features and in the content they support, but most will let you watch content from local network sources or the Internet on an HDTV. A media streamer connects to your network to get content, reformats the content as needed, and then sends it to your TV over an HDMI cable, or by using component or composite video. A good media streamer (coupled, perhaps, with a decent antenna for receiving over-the-air broadcasts) can be an invaluable tool for people looking to get rid of cable or satellite TV without giving up all the programs those services provide. You might still wind up paying for content, either through a subscription service such as Netflix or Hulu Plus, or by buying or renting individual shows from Amazon, Apple, or Google. But you probably won’t pay as much, and at least your costs will be based on the content you’ve chosen. What’s included with a media streamer? Media streamers generally cost between $80 and $200, depending on features such as high-definition support, built-in storage, wired network support, connection types, and more. Most streamers come with a smallish remote control, an AC adapter, and perhaps a composite video cable for analog sets; but many streamers that support HDMI don’t provide an HDMI cable. More expensive units add more sophisticated controls—for example, the remote of the Boxee Box flips over to reveal a QWERTY keyboard, which is useful if you want to use the Boxee’s built-in browser to surf the Web on your flat-screen TV (such surfing isn't supported by most media streamers). Before you shop, make sure your broadband is good enough for problem-free streaming. Amazon, for example, recommends broadband speeds of 3.5 mbps for streaming HD content. Also consider beefing up your home network. While many media streamers support Wi-Fi, it’s not ideal for streaming media, especially if you’re in an area with lots of neighboring Wi-Fi networks. We strongly recommend connecting any media streamer to some sort of wired network transport, be it ethernet, powerline (HomePlug AV), or coax cable (MoCA). Adding a wired component to an existing Wi-Fi network isn’t very difficult or expensive these days, and it should make for a much better media-streaming experience. When looking at media streamers, start by deciding what content you want to watch (that is, which sources and services matter to you), and whether you expect to download content or simply stream it in real time. Streaming services offer instant gratification, if you have decent broadband and a good home network. Amazon Prime Instant Video, Hulu Plus, Netflix, and YouTube are examples of services that stream content on demand over the Internet. You pay for the first three, and they offer a good selection of commercial movies and TV shows. YouTube is free, and its video clips tend to be shorter and of a different ilk. Amazon’s standard Instant Video, iTunes, and Vudu are services that download movies and TV shows, usually to a DVR or a streamer with built-in storage. (With iTunes, you can download to your Mac or Windows PC and then stream to an Apple TV, or stream directly to the Apple TV over the Internet. Apple’s set-top box has no on-board storage, so it’s all about streaming.) Downloading movies and videos eliminates quality issues that can arise when you’re streaming media—if your network slows down, the video may have to pause or the quality may deteriorate. Also, when you’re done, you can watch a download several times within a rental period, or indefinitely if you purchase the content. On the other hand, downloading means that before you can start watching, you do have to wait—how long depends on the size of the media file and the network speed—for the download to reach partial or total completion (depending on the service). And storage space could become an issue. The term media streamers has been used to cover a wide range of gadgets that connect to your home network and a TV. Here are some of the types of streamers on the market today. Typically, though, streamers from companies that sell you content don’t allow access to a wide range of other Web-based content. The Apple TV, for example, supports Netflix, Hulu Plus, YouTube, Vimeo, Flickr (for photo sharing), and the video feeds from the Wall Street Journal and Major League Baseball, the National Basketball Association, and the National Hockey League. That’s a decent selection, but there are dozens of video sites and services Apple TV doesn’t support. What if you’d like to be able to stream Amazon Prime video? Stream, stream, stream: Streaming hardware from vendors that don’t also sell content generally support a lot more services. Current Roku 2 media streamers, for example, support more than 500 paid and free Internet sites and services. Note that not all streamers offer the same level of support for the major services. Roku’s Netflix support, for example, is first rate, allowing you to browse and search on-demand content the same way you would on a computer. With some streamers, however, you can access only content that’s in your Netflix on-demand queue—and you have to put it there with a desktop browser. Support for Amazon’s video-on-demand services also varies. TiVo DVRs, for example, let you buy and download Amazon Instant Video content without leaving the TiVo—but you can’t download videos you’ve purchased previously without going to a desktop browser. Also, TiVo DVRs don’t support Amazon Prime streaming video. 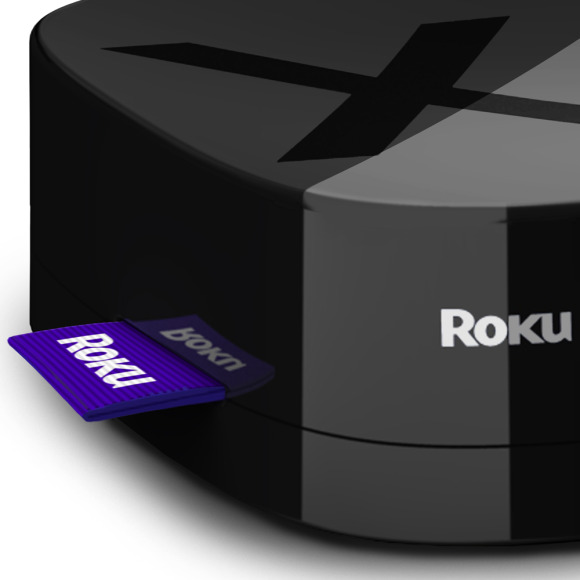 By contrast, Roku’s interface offers access to your Amazon Instant Video library and to Amazon Prime Instant Video. Unfortunately, Amazon’s list of Instant Video-compatible devices doesn’t drill down into the level of support, but most of the devices do support streaming. Streamers for local content: One drawback of most Roku streamers is the complete lack of support for playback of downloaded content—movies, music, and videos stored on a computer, network drive, or flash memory. Although the top-of-the-line Roku 2 XS has a USB port that you can use to play DRM-free media stored on a USB drive or stick, most models have no support for media on your local network. We’re not talking only about pirated content here. You might, for example, want to watch home videos you shot with your smartphone. Also, many movies and TV shows on Blu-ray Disc ship with tools to create a digital copy, so the ability to stream media from local network sources isn’t just a code term for playing illegally downloaded content. Other boxes let you stream content over your local network as well as from the Internet. For instance, streamers such as Western Digital’s WDTV Live Hub support DLNA-compliant computers and network storage devices. (DLNA stands for Digital Living Network Alliance.) Windows 7 PCs are all DLNA-compliant, so a DLNA-compliant media streamer can stream content stored on any Windows 7 PC on the same network. You can also set up a DLNA server on a Mac using third-party software. When streaming local content, however, you have to pay attention to the media formats that the streamer supports. Even if the streamer can access the content, it won’t be able to play back file formats it doesn’t support. Another caveat regarding DLNA-compliant media streamers: Some that tout support for Hulu, Netflix, and other major Internet streaming services don’t actually have native support for these services. Rather, they rely on DLNA support to relay these services from PlayOn software running on a Mac or PC. This is problematic on several fronts. PlayOn licenses are subscription-based—that is, you must pay on a monthly or annual basis to use the software. Also, you have to have the computer with PlayOn installed up and running on your network in order to access these popular video-on-demand services. Generally speaking, streaming media via PlayOn places greater demands on your network, since the media stream has to make two hops—one from your router to your computer, and then from the computer to the media streamer. On streamers with native support for these services, the stream goes straight from the router to the streamer. PlayOn can work fine if you’ve got a great wired network, but if you’re relying on Wi-Fi alone, video playback via PlayOn is more prone to dropping frames or pausing to rebuffer. Besides support for the streaming services you use, other specs must be considered when shopping for a media streamer. HD support: If you have a 1080p HDTV, try to find a streamer with 1080p output. All four current Roku boxes, for example, support 720p HDTV, but only the two higher-end models support 1080p. Wired vs. wireless: As mentioned above, we strongly prefer a streamer with a wired connection to your home network. But some cheaper streamers support only Wi-Fi. If you must depend on Wi-Fi, make sure it’s 802.11n Wi-Fi—and if you can, try to upgrade your network to dual-band 802.11n (with a router that supports both 2.4GHz and 5GHz operations), and find a streamer with 5GHz support. Most 802.11n networks employ the 2.4GHz band because that’s what the bulk of older Wi-Fi devices use—but in a crowded environment, streaming media does not do well on 2.4GHz. Interference can cause media streams to stutter or shut down completely. The 5GHz band is far less crowded and can support more streams. USB ports and built-in storage: If you want to play local media without having to run it through a network, find a streamer that has USB ports and/or its own hard drive. That way, you can load content onto a USB stick or drive, or transfer it over your network to the streamer’s hard drive so no streaming is involved during playback. The WDTV Live Hub is an example of a streamer with both USB ports and a built-in hard drive. As with content on a DLNA server, however, you have to make sure your streamer supports the format of the content. To avoid unnecessary duplication of services, check on what, if any, media-streaming support you already have in other components of your home entertainment center. Even if your TV has no network access, many current Blu-ray players and DVRs such as TiVo come with built-in support for services such as Amazon, Blockbuster, Hulu Plus, Netflix, and YouTube. Also, be aware of the charges associated with commercial services—and the licensing limitations. Netflix and many others aren’t free services. And on a recent trip to Canada, I was dismayed to realize that I couldn’t access Amazon Prime Instant Video, because the service isn’t available there (Amazon and other on-demand services can tell where your request for content comes from based on the IP address of your network connection). Commercial services also generally limit the number of simultaneous streams available per account. Amazon Prime, for example, supports only two, so if three people in your household are trying to stream different movies or TV shows from Amazon Prime at the same time, somebody is going to be disappointed.